National Award Winning Scriptwriter, and advertising professional . Juhi has written scripts for Bollywood films Vicky Donor and Piku. ​In the competitive world of Indian cinema, where stars reign supreme, Juhi is a rare screenwriter who believes in charting her own course. Little wonder then that both her stories—Vicky Donor and Piku—have garnered rave reviews and awards, and made her a name to reckon with in the Indian film industry. An advertising professional, Juhi began her journey in the Indian film industry when she was approached by director Shoojit Sircar to pen the dialogues for his second film, Shoebite, which had Amitabh Bachchan in the lead role. Even though the film’s shooting was completed, its release is still pending. 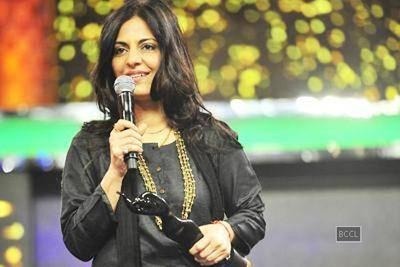 Juhi then went on to write the story, screenplay and dialogues of Vicky Donor which gathered such accolades that it catapulted Juhi to recognition. She was awarded the IRDS Film award for social concern for Vicky Donor, besides winning popular industry awards like Filmfare, IIFA, Star Apsara, Jagran and even the coveted National Award, to name a few. After Vicky Donor, Juhi wrote the dialogues for Khubsoorat and the critically acclaimed film Madras Café. Meanwhile she embarked on her second project—Piku. In 2016, Juhi won the National Award for Original Screenplay and Dialogues for the movie Piku. Juhi’s stories borrow from her experiences in Lucknow, in the advertising world, in the lanes of New Delhi’s Lajpat Nagar and in her interactions with people from all walks of life. Juhi’s creative partnership with Director Shoojit Sircar goes back a long way. She has worked with him on various well-known ads. Brands like Titan Watches, Saffola, Tata AIG and Red Label Tea being the most memorable ones. As a graduate of Lucknow College of Arts, Juhi got an early start as a keen observer of life, while trying to capture it in her sketches. While still in college, she worked as a freelance illustrator with The Times of India Lucknow edition. In 1996, after graduation, she shifted to Delhi, where she got a job with Ogilvy & Mather as an art director. In 1999, she moved to the Mumbai office of the agency and went on to become the Senior Creative Director. In 2008, she joined McCann followed by Bates and then Leo Burnett, where she was the Executive Creative Director. Juhi has been listed in the 50 Power Women of India and recently she has also been awarded the India Today Best Woman Writer award. She is often called upon to speak at various forums on the art of storytelling, on making a mark as a woman in a male-dominated industry, and on using humour to deal with situations in life and work.